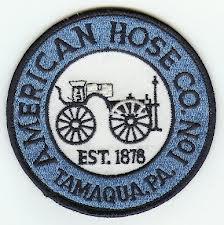 08/05 0358: Tamaqua Fire Department, Rescue, EMS, dispatched to 305 West Broad St. for reported house fire. South Ward E784 off the floor, update from county, occupant woke up and found couch smoldering. Citizens E782 responding followed by AHCO E776. E784 on scene, E776 on scene, L770 en-route. AHCO E775 responding. Per command, all units not on scene to cancel and return to service. Couch removed from home and extinguished. All units cleared shortly after. Chiefs remained on scene.